My earliest memory of Christmas is watching Disney's 'A Verry Merry Christmas' on a VHS tape (or maybe, it was Betamax)! As a child, this season was always magical for me, even though it was not celebrated at home. Mainly, it was because of all the movies and animated films in which something magical always happened and everyone was happy in the end! 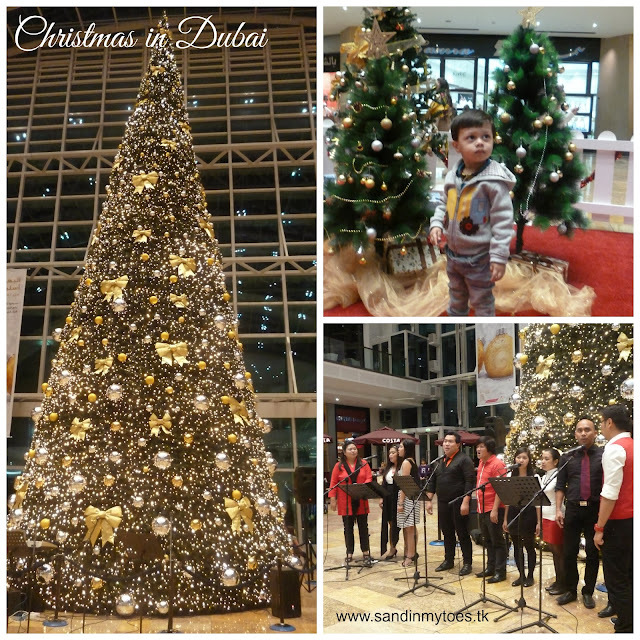 There's lot to see in Dubai during the festive season, and even though we didn't go out as much as we did last season, I thought I'd share a few photos of how Christmas is celebrated in Dubai. There are many expats who celebrate this festival, so it is a big deal here. In fact, everyone, like me, get caught up in the spirit! Too bad we didn't get to see their famous Sound and Light show because it was cancelled that day. It was Christmas-themed last year and pretty nice. 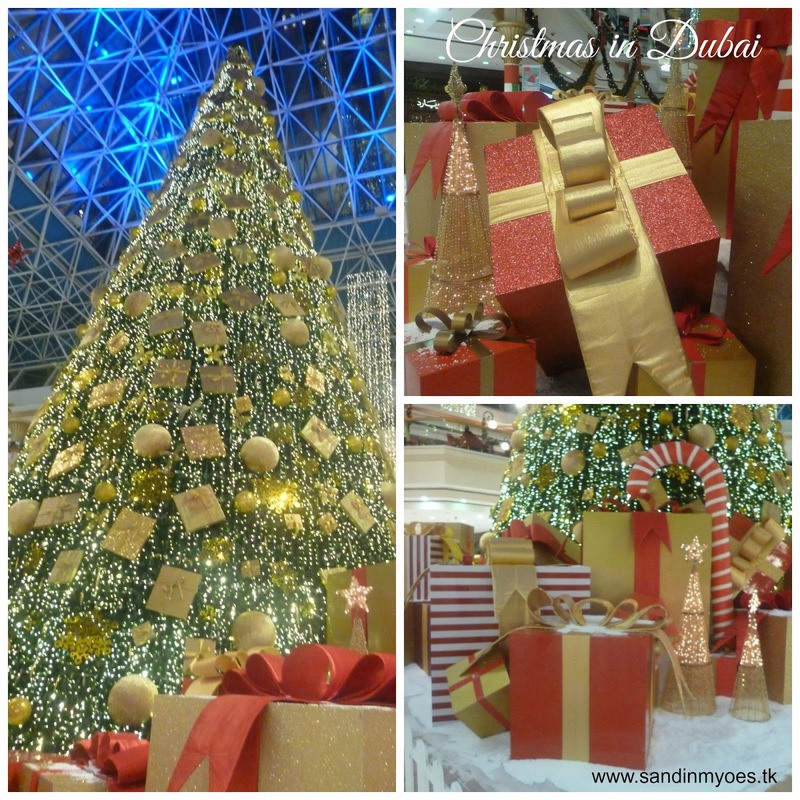 I usually also visit the Festival Centre at Dubai Festival City because it's never too crowded, and their Christmas displays are lovely. This time, they had a small play area for children too. We also caught the choir's performance. Little Dude really liked the snowman in their play area, but refused to go near it! I wish I could show him a real snowman someday. 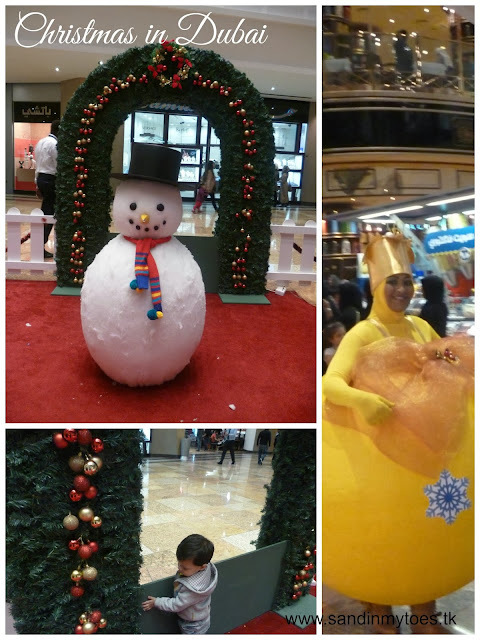 Inside the mall, we also managed to see a little Christmas parade. This is how the season is in our part of the world. Happy holidays to you, wherever you are! This post has been linked to Country Kids by Coombe Mill and What's The Story? It looks like you have some lovely Christmas displays and things to visit and I do love the idea of a play area for children too, always makes a difference. Loving your photos and your snowman even if he isn't real snow. So far this year we have only made snowmen out of hail storms but we are hoping for the real thing before spring. Happy Christmas to you and yours and thank you for sharing your wonderful photos on Country Kids. They know how to celebrate! Thanks for sharing this with us! Thank you too, Fiona, for stopping by my blog! We were in Dubai last Christmas and it was SO festive in a very grand fashion. Even more so than here with so much to do. Lovely photos! Thanks, wishing you a happy new year too!